In this marvelously funny, unsettling, subtle, and moving collection of stories, the characters exist in the thick of everyday experience absent of epiphanies. The people are caught off-guard or cast adrift by personal impulses even while wide awake to their own imperfections. Each voice will win readers over completely and break hearts with each confused and conflicted decision that is made. Every story is beautifully controlled and provocatively alive to its own truth. 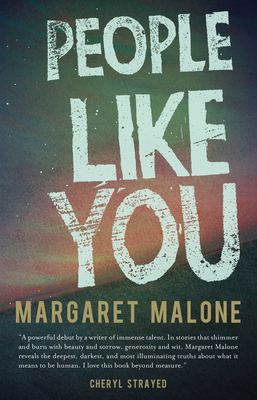 Margaret Malone is the cohost of SHARE, an artist and literary gathering, and a Dangerous Writers alumna. Her writing has appeared in publications such as Coal City Review, The Missouri Review, Propeller Quarterly, and Swink Magazine. She lives in Portland, Oregon.